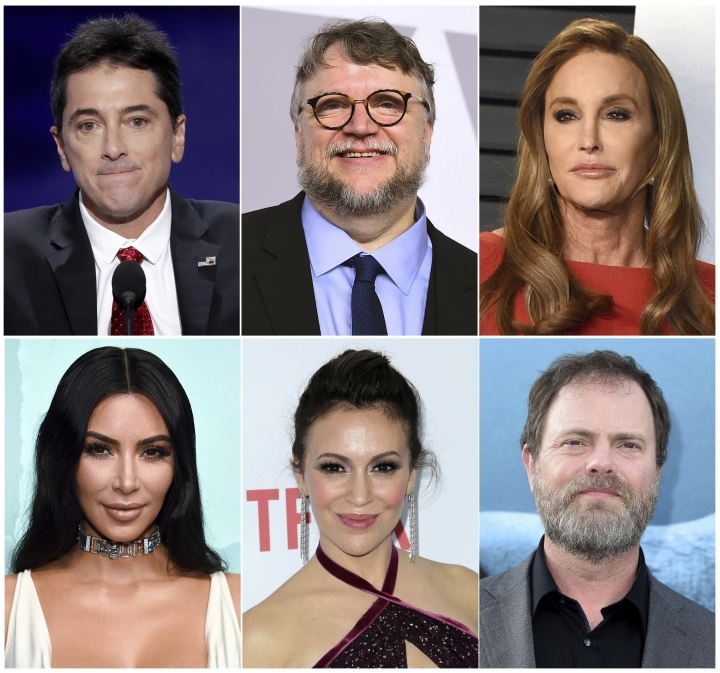 LOS ANGELES — Celebrities whose coastal homes have been damaged or destroyed in a Southern California wildfire or were forced to flee from the flames expressed sympathy and solidarity with less-famous people hurt worse by the state's deadly blazes, and gave their gratitude to firefighters who kept them safe. "Half-gone" the "300" actor grumbled in his Scottish accent in a video that shows embers, ashes and what's left of his home. 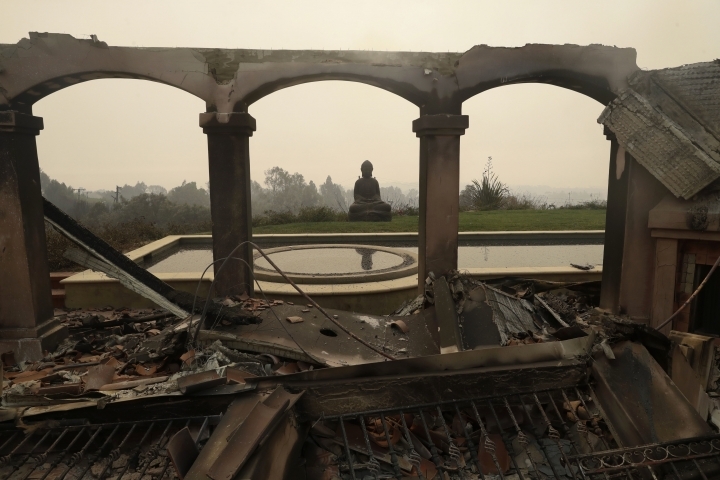 Camille Grammer Meyer of "The Real Housewives of Beverly Hills" lost her Malibu home entirely on Saturday night, her publicist, Howard Bragman, said in an email to The Associated Press. "Sadly my house couldn't be saved," Meyer, the ex-wife of actor Kelsey Grammer, wrote in an Instagram post that showed a huge house engulfed in flames. "The courageous firefighters were able to save my cars and personal items recovered from my home." Many others including Orlando Bloom, Alyssa Milano, Lady Gaga, Rainn Wilson and fashion designer Donna Karan were among evacuees. Some knew their homes were safe (for now) and waited for a chance to return. Others were in the dark, posting pictures of plumes of smoke and saying their houses were somewhere in there. "Stay safe, California — and keep those prayers coming America," Wilson said on his Twitter account, where over the weekend he was sharing photos of some of the more than 100 people missing in the huge wildfire in Northern California that has killed at least 23. Milano said her house is "still in jeopardy" as strong winds kicked up again Sunday. 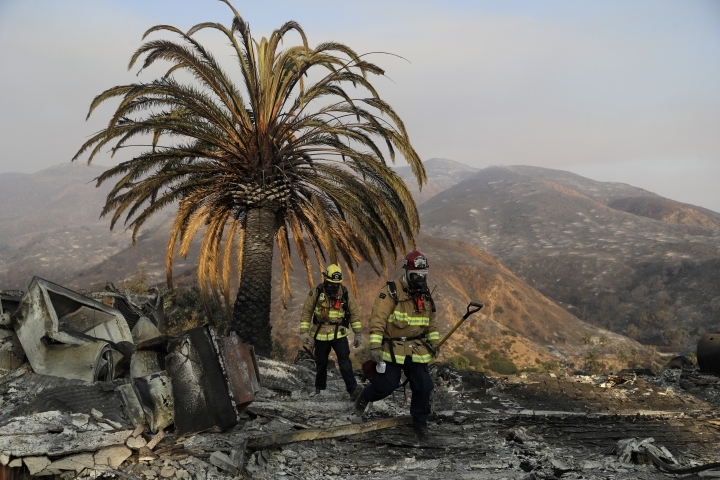 Southern California's wildfire has killed two and destroyed at least 177 homes. 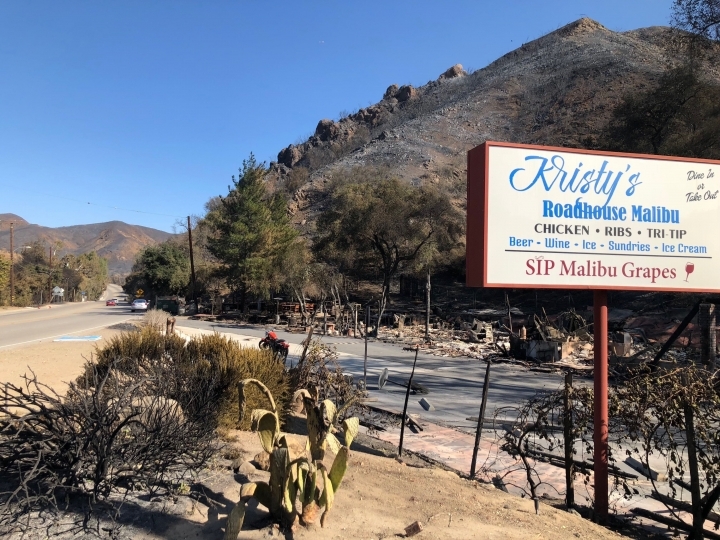 The blaze started Thursday night and pushed toward Malibu and the Pacific Ocean, prompting evacuations in Malibu, Calabasas, Agoura Hills and other nearby areas. Paramount Ranch's "Western Town," a landmark film location dating back to 1927 that included a jail, hotel and saloon, burned to the ground . The TV series "Westworld" is among the many productions that have filmed at the ranch in the mountains west of Los Angeles. 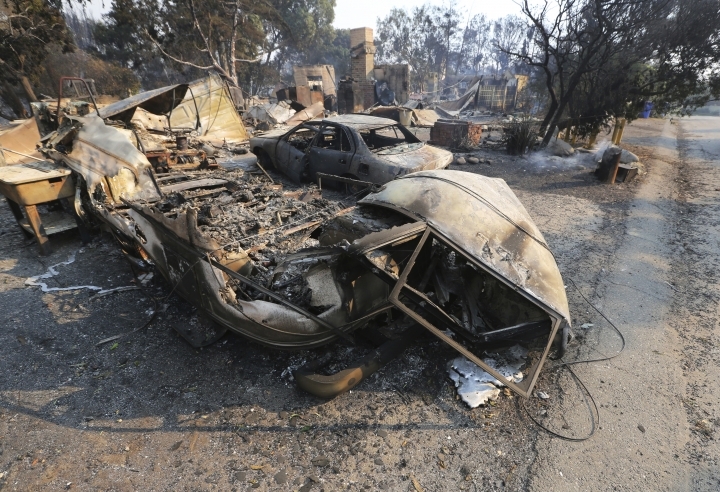 "LA is a pretty great place but if fires are all we have to deal with, you know, we're lucky," ''Rules of Engagement" actor Oliver Hudson told the AP at a charity event in Culver City. "There's a lot of people in the world who are dealing with a lot more."